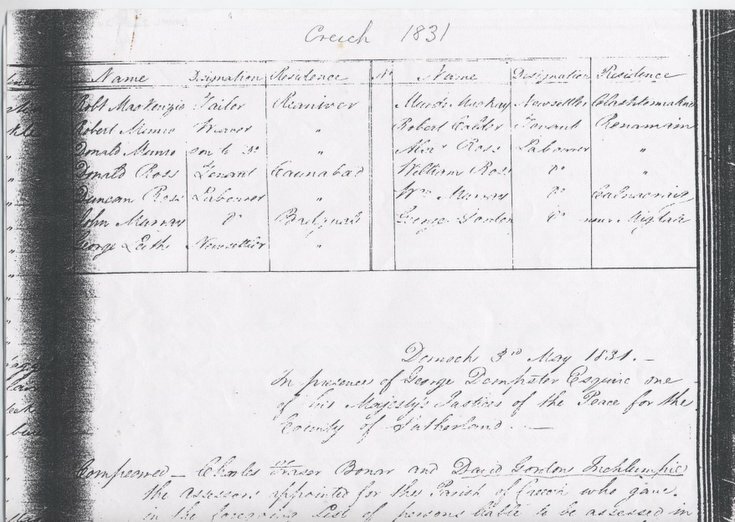 Statute labour list for the parish of Creich 1831. Lists names, occupations and residences. 4 loose sheets.